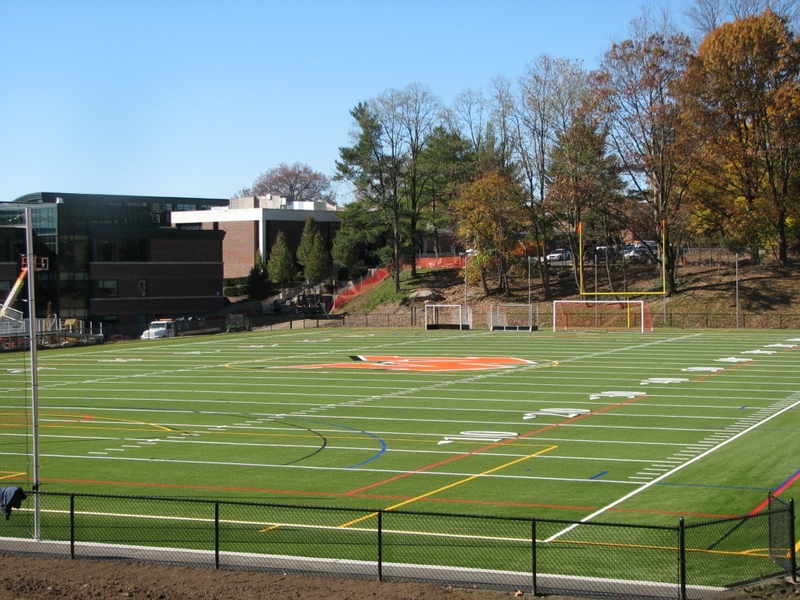 Mamaroneck High School – Mamaroneck, NY – Target Technologies International Inc.
Home of the “Tigers” the Mamaroneck High School in New York recently completed upgrades to their Memorial Field. The community of Mamaroneck came together to help support the upgrade of this amazing multi-sport field enjoyed by their soccer, lacrosse, football and field hockey teams. TTII is happy to supply both the sand and our Tru-Play 57 EPDM for this project. Way to go Tigers!